Please click here or on the flyer to book your place. Please note substitution cover will be provided for the school day events (i.e. UL and UCC). 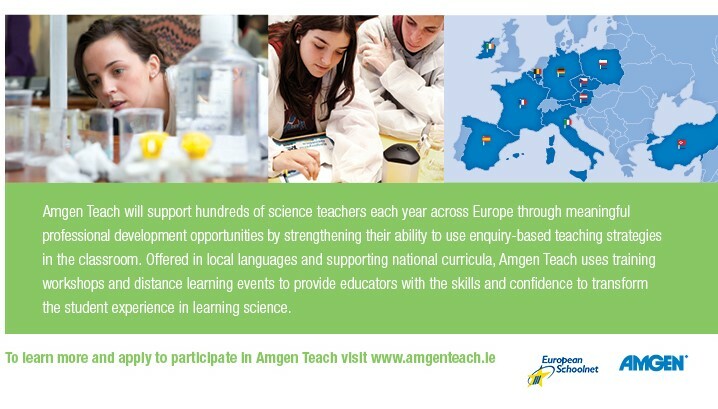 Amgen Teach aims to deepen student interest and achievement in Science by strengthening the ability of life science secondary school teachers to use inquiry-based teaching strategies in the classroom. Amgen Teach uses training workshops and distance learning events to provide educators with the skills and confidence necessary to transform the student experience in learning Science. Day 3: Amgen Teach PDST inquiry based science education for coursework B: Supporting our science teachers. The specification for the new junior cycle science can be found here. best practice when applying this approach. of sensors to conduct inquiry based learning experiments. and ending with relevant questioning to clarify challenging concepts. This is an embedded &amp;amp;amp;amp;amp;amp;amp;amp;amp;amp;amp;amp;amp;amp;amp;amp;amp;lt;a target='_blank' data-cke-saved-href='https://office.com' href='https://office.com'&amp;amp;amp;amp;amp;amp;amp;amp;amp;amp;amp;amp;amp;amp;amp;amp;amp;gt;Microsoft Office&amp;amp;amp;amp;amp;amp;amp;amp;amp;amp;amp;amp;amp;amp;amp;amp;amp;lt;/a&amp;amp;amp;amp;amp;amp;amp;amp;amp;amp;amp;amp;amp;amp;amp;amp;amp;gt; presentation, powered by &amp;amp;amp;amp;amp;amp;amp;amp;amp;amp;amp;amp;amp;amp;amp;amp;amp;lt;a target='_blank' data-cke-saved-href='https://office.com/webapps' href='https://office.com/webapps'&amp;amp;amp;amp;amp;amp;amp;amp;amp;amp;amp;amp;amp;amp;amp;amp;amp;gt;Office Online&amp;amp;amp;amp;amp;amp;amp;amp;amp;amp;amp;amp;amp;amp;amp;amp;amp;lt;/a&amp;amp;amp;amp;amp;amp;amp;amp;amp;amp;amp;amp;amp;amp;amp;amp;amp;gt;. The inputs sessions involved many short “thinking exercises” and discussions to ensure that teachers could articulate their ideas. The PDST ran three Amgen Teach workshops in 2014 – 2015. Session 1: Chain Reaction: This will focus on involving teachers in an inquiry themed lesson to show how inquiry can be carried out in an everyday classroom setting. The aim is to help develop teachers’ awareness of IBSE and show that inquiry approaches are possible regardless of the resources available. Session 2: Teaching Enquiry Mysteries Incorporated (TEMI): This will enable you to experience IBL (Inquiry Based Learning) and to become informed about the 5 E model for IBL. In this project the teaching approaches used incorporates scientific mysteries or discrepant events to arouse and engage student interest at the beginning of a lesson, which will then motivate students to enquire further and find out the scientific explanations. As a participating teacher, you will be provided with prepared TEMI lesson ideas and develop your own TEMI lessons. Session 3: Developing key skills in Science teaching and learning: Majella Dempsey Maynooth University will provide an insight developing key skills in Junior Cycle Science. Session 2: Using sensors to explore energy: CASTEL in conjunction with SEAI will offer a workshop on energy. Lesson plans and worksheets will be available for teachers at this workshop. Session 3: Argumentation in Science Teaching and Learning: Argumentation is about providing justification to claims with evidence. Suppose we make a claim about the particulate nature of matter. How do we know that matter consists of particles? What is the evidence? How do we know how to select which evidence? There is now substantial amount of research that informs us about how to design science lessons and professional development to enhance argumentation. In this workshop, resources that enhance the use of argumentation in secondary science lessons will be explored. The participants will engage in activities and trial strategies for supporting argumentation.